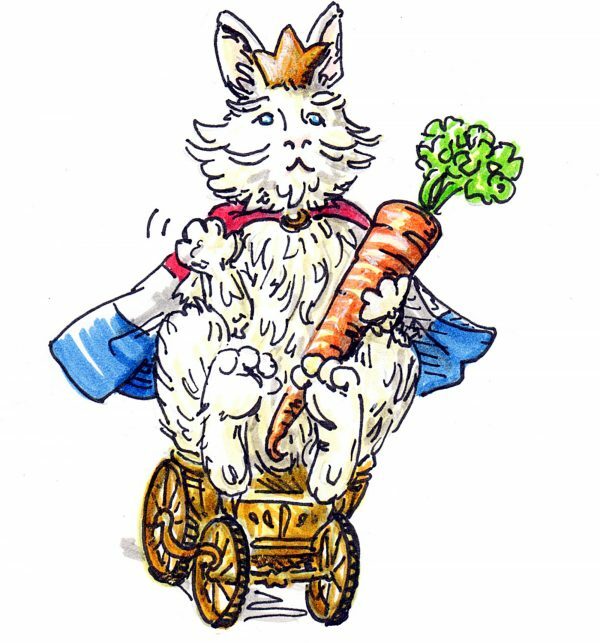 A couple of months ago, in anticipation of the bunnies we were adopting and the Dutch holiday of King’s Day, I made this spontaneous drawing celebrating both. 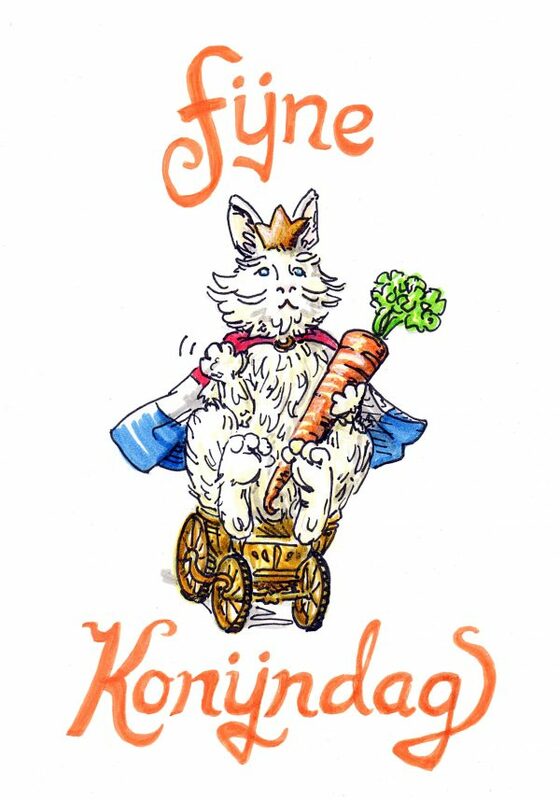 “Konijn” (bunny) and “koning” (king) are so close to each other as words, I made a festive mash up. Happy Bunny Day!